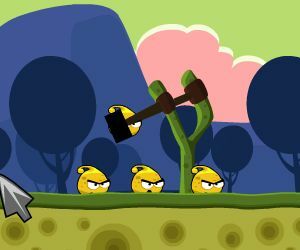 Description: Angry Alien is another angry birds game that can be played online. This time the conflict take place between human astronauts and angry aliens. The humans invaded an alien planet and they have built protection structures. Launch your aliens to demolish the structures and to eliminate all the astronauts in each level.